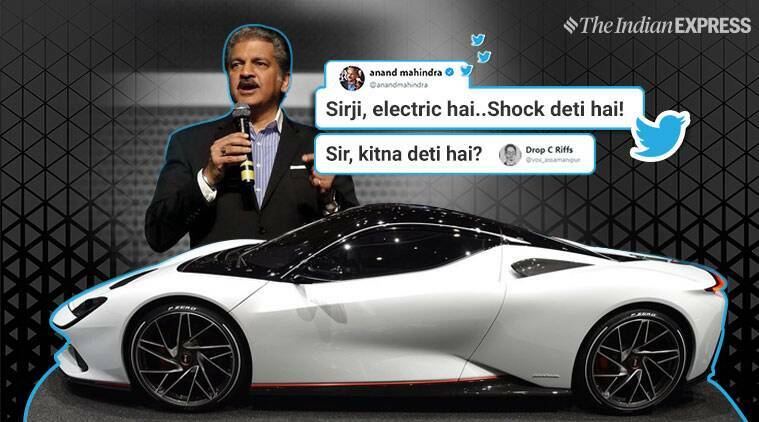 While people around the world were talking about the speed of Pininfarina latest sportscar, the Battista, one person in India asked Mahindra about its mileage and the industrialist's reply had people laughing out loud. Mahindra-owned Automobili Pininfarina’s Battista battery-electric (BEV) hypercar has debuted in Geneva earlier this week and took social media by storm, creating a frenzy among auto lovers. The fully electric car is also being cited as the world’s fastest luxury car, with a brake horsepower (bhp) equivalent to 1,900, which is about twice that of a Formula 1 car. The Battista is expected to give stiff competition to sports cars including the Ferrari and Lamborghini and Anand Mahindra, the chairman of Mahindra Group, talked up the car’s details on Twitter. But while people around the world were talking about the car’s speed, one person in India asked Mahindra about its mileage and the industrialist’s reply had people laughing out loud. Sirji, electric hai..Shock deti hai! Automobili Pininfarina claims the Battista goes from 0 to 62 mph in less than two seconds, hits 186 mph in less than 12 seconds, and has a top speed of more than 250 mph. The electric sports car does 280 miles on a single charge. Given its Indian connection, many asked Mahindra to share a closer view of the car and he obliged. Mahindra admitted that he prefers the white version of the car and also shared a video showing fans a better view. Many praised Mahindra for his sense of humour online. Oh my god !!! Terrible shock to user !!!! Ha ha ha ha…. How is the shock sir?? This isn’t even the first time Mahindra won the internet with a reply about Pininfarina. In 2017, when another Twitter user asked him to buy a Pininfarina Maserati Birdcage, Mahindra replied that he had bought the company instead! His tweet at the time went viral with people praising him for his reply.